So why choose Vazon Bay Apartments. Guernsey family holiday. So why choose Vazon Bay Apartments? Just a few reasons we believe you should choose Vazon Bay Self Catering Apartments for your next Guernsey family holiday. • Locally owned and family run, the owner, Richard, lives on site and makes it his personal mission to be sure you have a great holiday. 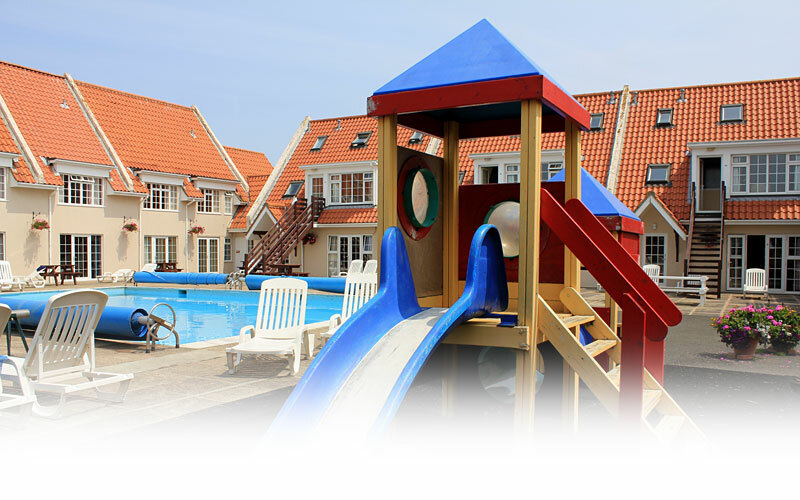 • On-site activities for children - swimming and toddler pools, rabbits and play area. • Plenty of loungers and seating for all, no need to bag yours with a towel! • Just over the road from the beach. No need to drive. • Ample on site parking. • Mile long, uncrowded beach, loads of room for swimming, surfing, fishing,rock-pooling, cricket, BBQ's or sunbathing. • Very generously proportioned accommodation. • Two restaurants with take away menus available within a 2 minute walk. • The bus stops outside if you want to explore the island. • Supermarket specialising in local produce a short stroll inland. 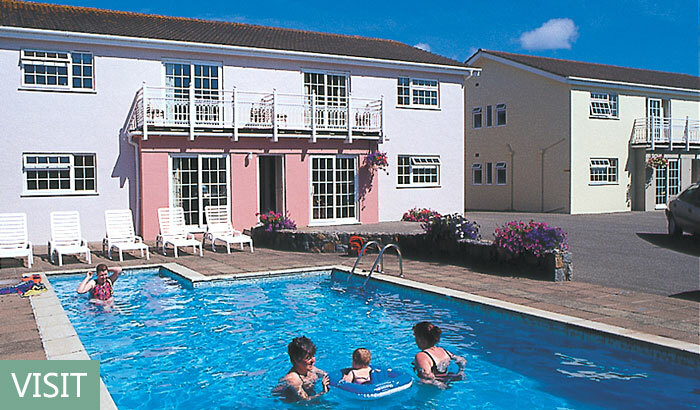 • Adjacent Guernsey Surf School with board and wet suit hire. • Car or cycles for hire can be delivered direct to your door. • Coasteering excursions and kayak hire nearby. • Golf course within walking distance. • Nearby Fort Hommet Headland and world war II bunkers to discover. • The nearby headland and beach offer popular fishing marks. • Well behaved pets (from the UK) are accepted by prior arrangement. • At the end of the day take advantage of our West coast location and join the locals on the sea wall taking in the spectacular sunsets. for great value long stay rates NOW!